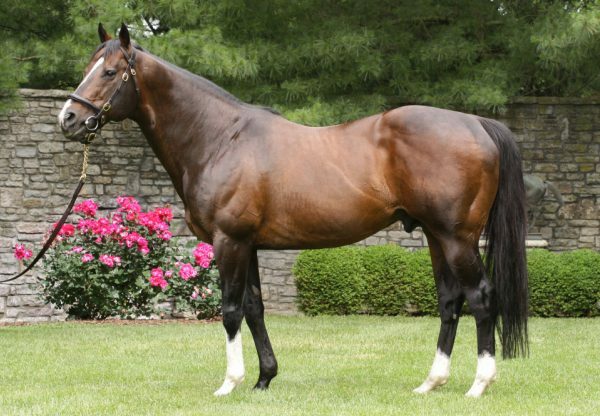 Grade I placed twice previously, brilliant filly Stopchargingmaria (3f Tale of the Cat x Exotic Bloom, by Montbrook) broke through at the elite level on Sunday to score a resounding win in the $300,000 Grade I Coaching Club American Oaks at Saratoga. Prepared by Todd Pletcher, Stopchargingmaria earned TDN Rising Star status for her brilliant debut win back in July last year and has competed against the best since then. Her form this year had not been quite as good, but she bounced back in emphatic style to win this 1 and 1/8th mile contest by a dominant five lengths. “It kind of unfolded the way we wanted it to on the first turn,” said Todd Pletcher. “We were able to get the position we wanted. She had a good trip from there, and it worked out well. I told [owner] Mike [Repole] that this filly has never trained better than she has here in the last month. “She seems to really like Saratoga. She has been training much more powerfully than she did this winter, so we expected a big effort from her." A $220,000 purchase from the OBS March 2YO Sale, Stopchargingmaria runs for Repole Stable and has banked over $1million for her owners in winning five of nine starts. “The huge thing was to win a Grade I,” added Pletcher. “A filly of her resume, to get that Grade I was huge. 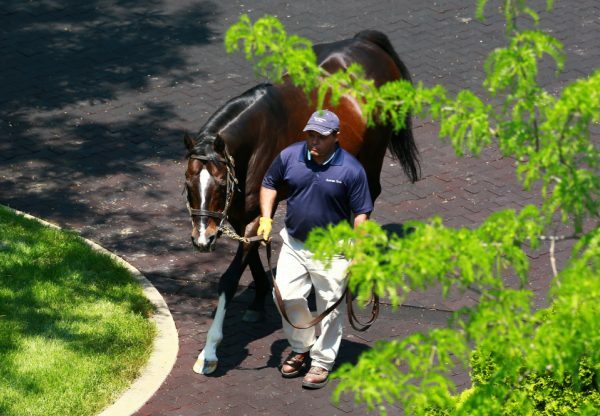 I thought she ran well enough today to certainly earn a spot in the Grade I Alabama Stakes (August 16).” Stopchargingmaria is the first winner for stakes-winner Exotic Bloom, who comes from the family of Grade II winners Vision and Verse and Bourbon Bay. 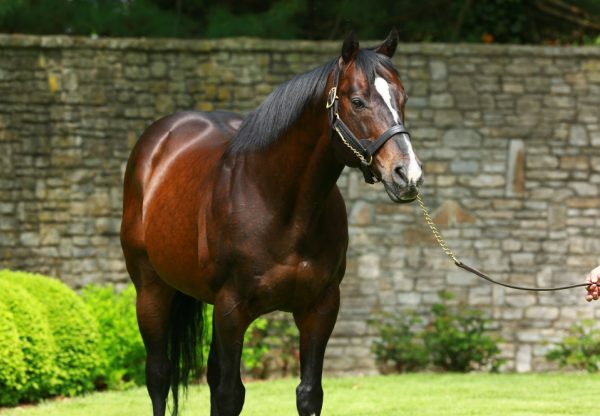 She becomes the tenth Grade I winner for evergreen sire Tale of the Cat, who turned 20 this year. Tale of the Cat may have another star filly on the rise with Luminance (2f Tale of the Cat x Siren Serenade, by Unbridled’s Song) granted TDN Rising Star status for her sparkling debut win at Del Mar on Sunday. A $320,000 Keeneland September purchase, the Bob Baffert trained filly was sent out favourite and despite enduring a tough run was still far too good in winning the five furlong scamper on the all weather surface in course record time of 57:39. Luminance is the first winner for Siren Serenade, a half-sister to Grade I Breeders' Cup Juvenile Turf winner George Vancouver from four-time Grade I winner Versailles Treaty.